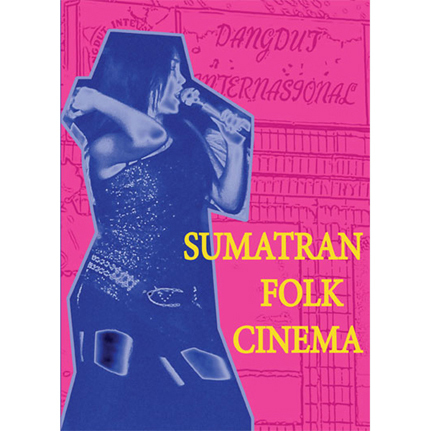 A film by Mark Gergis and Alan Bishop, Sumatran Folk Cinema is a psychedelic collage of images and sounds from the heart and soul of the island's culture with the main focus on music. Witness classic Dangdut rock music, street and country scenes, raw TV excerpts, Minang Orchestras, night markets, a variety of folk musicians, audio/visual artifacts and much more wrapped in a 60 minute kaleidoscope complete with an epic soundtrack. Sumatra is the Northwestern entry point to the Indonesian archipelago. Its 40 million inhabitants are primarily Muslim and speak the national language of Bahasa Indonesian. Most of the film was shot during a span of two weeks in August of 2004 in and around the cities of Medan, Padang, Bukitinggi, and Padang Panjang. It features a variety of street musicians, nightclub acts, folk groups, and incidental happenings which surround musicians in their daily lives. This film has no narration nor is it meant to express any particular theme or agenda. This is intuitive folk cinema and film collage, shot on location as it unfolded and assembled in an attempt to capture the essence of being there. All material was shot before the 'Tsunami' of December 26, 2004 destroyed the city of Banda Aceh and the northwest coastal areas of Aceh province. The Bandah Aceh segment was shot by David Martinez in 2003. The additional footage of the GAM (Free Aceh movement) rebels ambushing a government motorcade was filmed by Billy Nessen in 2001. GAM has since declared peace with the Indonesian government, given up their weapons and filtered back into Aceh society. All Region DVD contains bonus footage of musical performances and trailer segment. Color/60 minutes/Digipak.